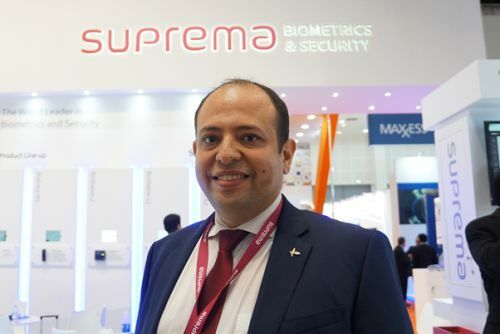 DUBAI, UAE, Apr 23, 2018 - (ACN Newswire) - Suprema Middle East is set to showcase its biometric-driven enterprise access control for the Saudi Arabian market at Intersec Saudi Arabia 2018, to be held at the Jeddah Center for Forums and Events from April 24 to 26. Suprema's new CoreStation is an intelligent door controller which provides the advantages of biometric-enabled security over centralized access control systems. Designed for mid- to enterprise-level access control systems, CoreStation is capable of handling 500,000 users with incredible fingerprint matching speed of up to 400,000 matches per second. CoreStation offers comprehensive access control functionalities for up to 132 access points, and along with the BioStar 2 security platform, provides high-performance, biometric readiness and Ethernet communications. The device also provides centralized biometric template management and interfaces with a complete set of reader technologies including RS-485 (OSDP) and Wiegand. "Suprema's CoreStation is designed to fulfill the demand for biometric technology within the more-secure, larger scale access control applications with centralized topology, managing fingerprint matching and biometric data storage from a secure location. 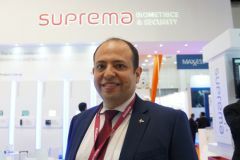 The addition of CoreStation to our portfolio offers customers greater choice and flexibility in designing security systems," said Mohamed Elshenawy, Regional Sales Director at Suprema Middle East. Suprema will also showcase the new XPass D2 series RF card readers, which provide extended capability, design flexibility and cost-effectiveness to the CoreStation. XPass D2 readers are compact outdoor-ready RFID readers featuring dual-frequency RFID technology and a rugged IP67/IK08 housing, optimized for the company's CoreStation-based centralized access control systems. XPass D2 readers come with dual-frequency RFID technology which reads both 128kHz and 13.56MHz RF cards including EM, MIFARE (plus), DESFire (EV1) and FeliCa standards. All models read BLE (Bluetooth Low Energy) and NFC signals to provide mobile credential capability when using Suprema's BioStar Mobile Card. XPass D2 readers come in 3 models: The XPD2-MDB is mullion-type, while the XPD2-GDB and XPD2-GKDB are gangbox-sized form factor, and GKDB models come with 3 x 4 keypads to support PIN authentication. All readers feature robust housings with IP67 weather-proofing and IK08 vandal-proof certifications, and operating range of -30 to 65 degrees C, -22 to 149 degrees F.
"With the new addition of XPass D2 readers to CoreStation, Suprema's ACU-based access control solution, we aim to provide new enterprise-grade features and added flexibility in system design. CoreStation is a clear alternative to the enterprises requiring higher level of biometric security and centralized access control system topology," Elshenawy added. Established in late 2017, Suprema Middle East now serves the company's GCC-wide customers with localized sales and technical support.